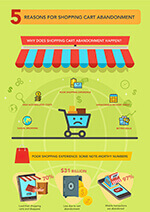 Checkout why shopping cart abandonment happens and what to do about it. Adding items to cart and abandoning the purchase costs online businesses a great deal. Check out the most critical reasons why this is happening and see what you can do to overcome this.